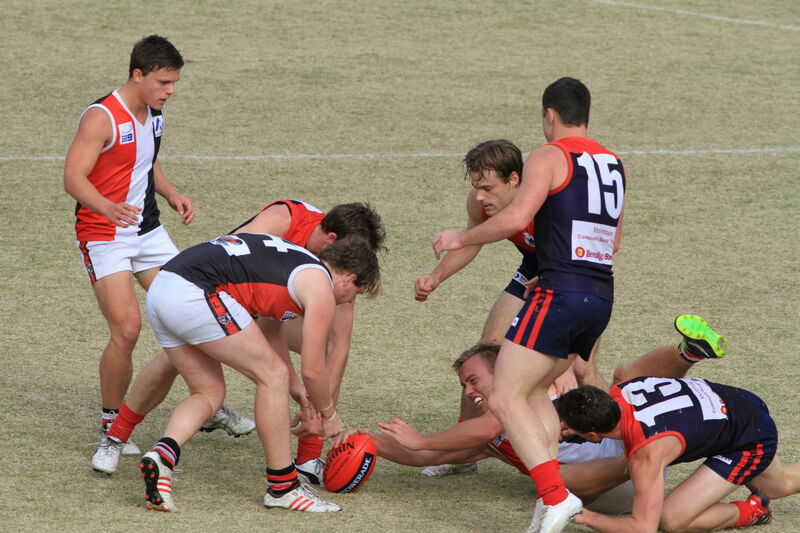 The Montrose Football Club is finally getting another crack at First Division in the Eastern Football League in 2014. Montrose had a brief stint in the top grade from 1993-95, but soon found its way back into Second Division. The club was forced to spend 2008-09 at Kilysth while a new pavilion was erected at Montrose. The ground was resurfaced at the same time, which came as a relief for visiting clubs. 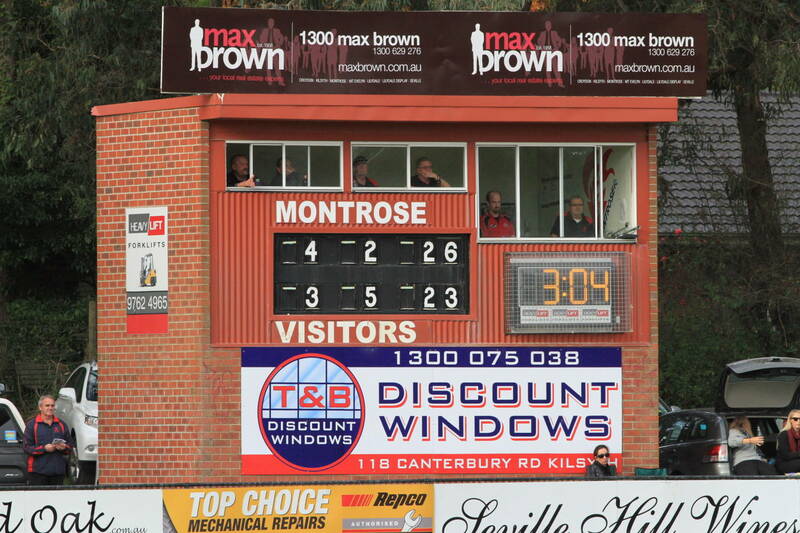 The scoreboard was one thing that didn’t need updating, being one of the more impressive boards that you’d see at a local ground. 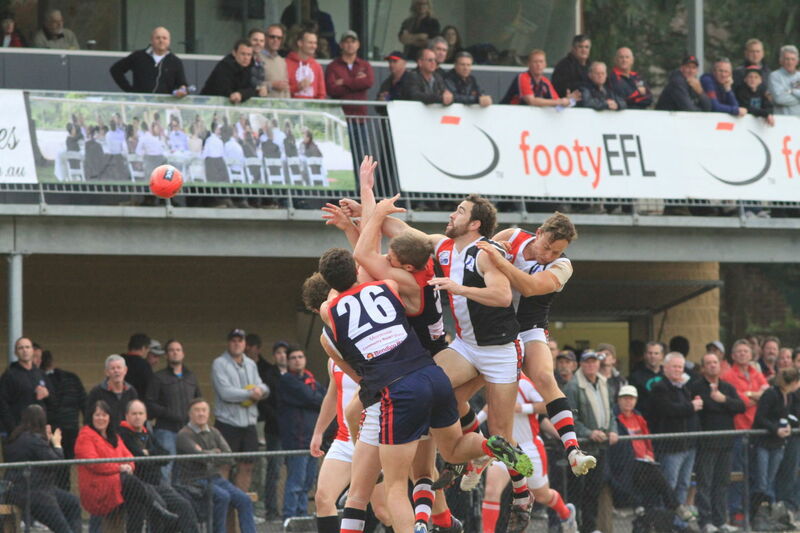 Montose comfortably won the 2013 flag from Mooroolbark. 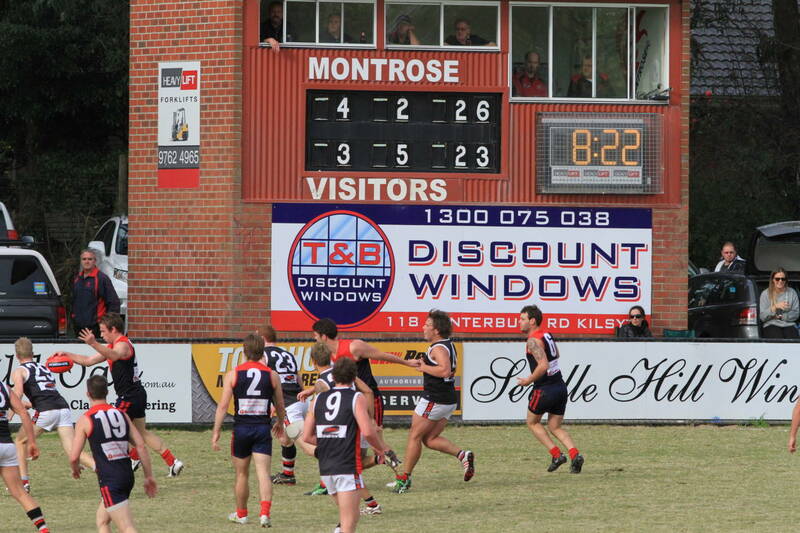 These pictures were taken in May for the top-of-the-table match between Montrose and North Ringwood, won by the locals, 15.15 to 10.12.